Step and repeat banners are commonly used at red carpet event, photo shoots, trade shows, and other events. Print Banners can provide a custom step and repeat backdrop for any event. 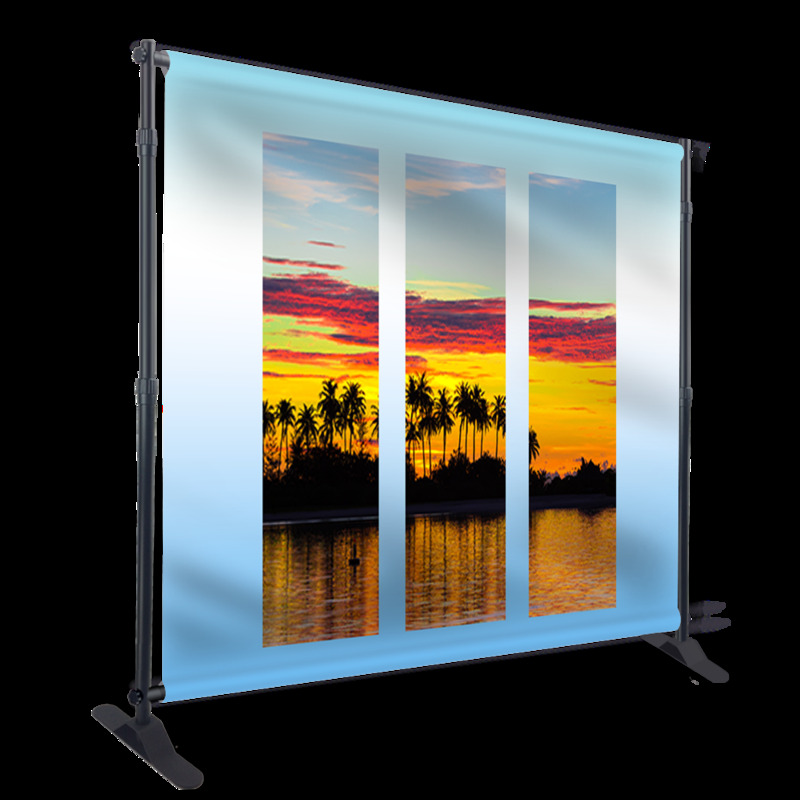 The backdrop is portable for easy travel to trade shows and for use in photo shoots. Use the included travel bag to carry the backdrop to your event and store it between events. Our step & repeat banner stand is a large tube heavy duty stand with a curl free fabric insert that is perfect for step and repeat designs. 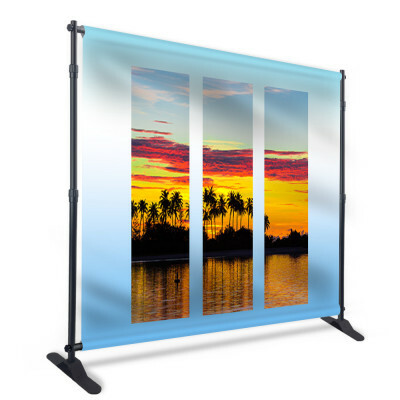 There are pole pockets at the top and bottom of the graphic for easy installation and replacing graphic for different trade shows and events. The seams from the pocket are visible at the top and bottom of the graphic on your display. The custom step and repeat backdrop is available in three sizes to meet your needs and budget. Choose from 8’ W x 8’H, 9’W x 8”H, or 10’W x 8’H backdrop sizes to fit the available space in your trade show booth. Each backdrop is adjustable to a specific size range with telescoping poles, although this range varies depending on the size of the backdrop you choose. You can place your order through our website and submit your graphic, which should fit the dimensions of the print you are ordering. Our printed banners are digitally printed at 720 x 720 resolution with a dye sublimation process. They are scratch resistant, washable, and constructed with heavy duty fabric for a curl free edge, so your banner will last for years. We offer step and repeat banner printing with same day delivery and shipping for orders placed before 12 pm EST. 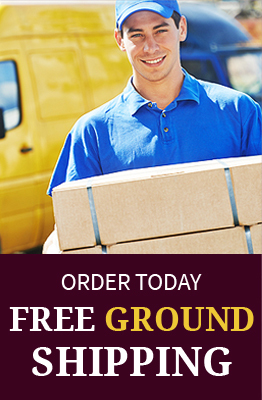 We are always available to assist you with your order and answer your questions. The installation process for backdrops is easy and our back drop installation guide can be found on our website, for your convenience. Step and Repeat BackdropOur Back Drop- Large Tube is portable and ideal for a background display for..